Nebraska City, home of Arbor Day, has an *amazing* outdoor play area for children called "Nature Explore" at their Arbor Day Farm "Tree Adventure." The Tree Adventure has a wide (read: stroller friendly) trail which winds along a wooded path. As you walk through the 'forest', you will find different animal tracks stamped into the concrete, signs describing the various plants and animals, and interactive sculptures which children can play in/ on along the way. The 50 foot tall tree house is also a great feature to get a stunning view of the forest. However, as wonderful as this trail is, the vast majority of our time is spent in the Nature Explore play area. 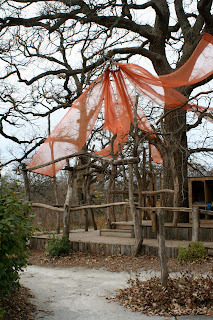 This features a "nature's treehouse" (see photo below), a messy play area, a nature's art area, and a gi-normous wooden xylophone / music area for children to demonstrate their budding musical talents. 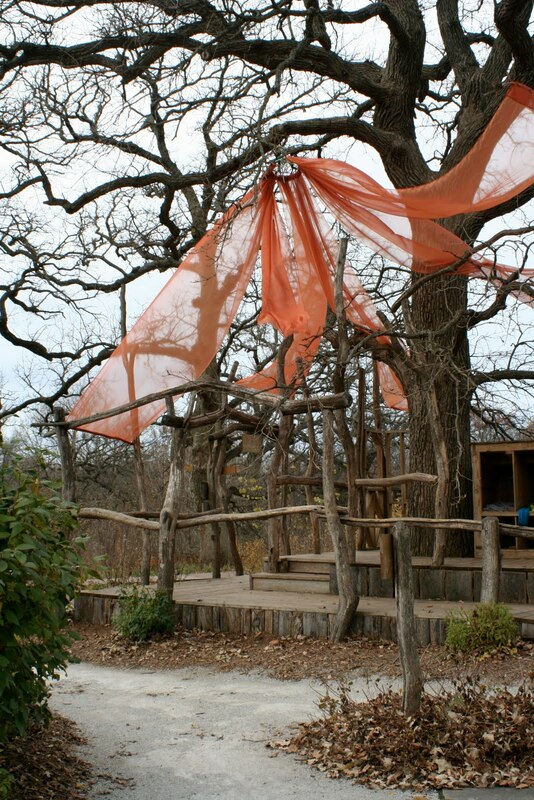 The treehouse features multiple levels of platforms with wood railings and a cubby full of play silks. The messy play area is a zone full of large limbs and sticks for children to stack, configure and climb on. 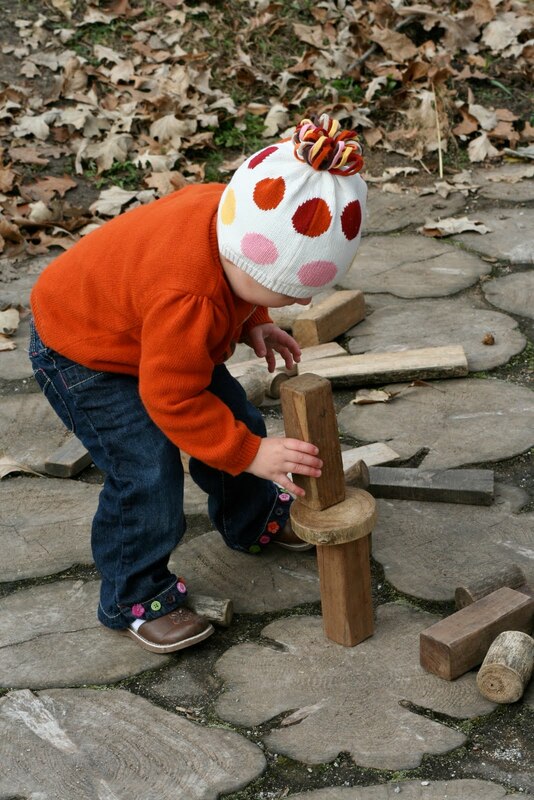 And the nature's art area features large cubbies of natural wooden building blocks, shells, pine cones and other natural elements to organize and create designs. Nature's Art Area on "Giant Tree Cookie Flooring"
Not only is this sensory smorgasbord my favorite playground, but there is a duplicate of this classroom in a 'toddler friendly' size for the wee babes to experience the same outdoor fun as their older counterparts. 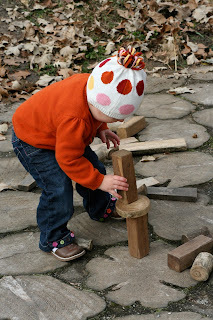 If you are not within feasible driving distance of Nebraska City and want a Nature Explore for your own city (or yard, if you so choose), the Arbor Day website has been updated with a "Nature Explore Sourcebook" which boasts a cheat sheet of all of their unique outdoor play materials. Click here for the link. Hi!! You won my journal giveaway!! Email me sheenajibson at gmail and send me your address! ps. I loooooove this place--it looks so fun! !